I recently made my first foray into what I like to call 'grown-up fragrance'. 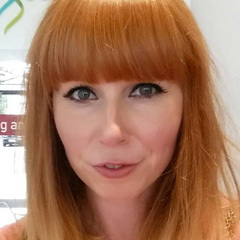 'Grown-up' not because you picture your mum wearing it, but because it just feels that little bit more sophisticated. Jo Malone is a fine fragrance company that make individual cologne scents, which can be layered over one another to create your own bespoke fragrance. I'd popped in to visit their counter in Harrods to check out the new limited edition Sugar and Spice collection which had been launched for the summer, but after some serious sniffing, decided those fragrances weren't for me. Instead, I fell in love with the Lime, Basil and Mandarin cologne. This is one of their signature smells and is really quite unusual. It's citrusy, fruity, and also has a slightly herbal smell to it from the basil. The sales assistant recommended me some of their other scents (there are 20 in total) which would work when layered over the top - my favourite being English Pear and Freesia. Combined together, it actually made me think of a fruity champagne. Yum! The colognes comes in two sizes: £38 for 30ml and £72 for 100ml. I decided to be naughty and treat myself to a small bottle of the Lime Basil and Mandarin cologne. The sales assistant even gift boxed it for me, despite me mentioning it was for myself, and added a couple of little sample vials to try the layering out at home. I've been wearing my new perfume for the past week, and absolutely love it. I would recommend to anyone looking for a more unusual type of perfume to check out Jo Malone. The service was fantastic, and the range of fragrances means that there is something for everyone. They also do bath oil, lotions and candles, which would make a lovely gift or a treat for yourself. Have you tried anything from Jo Malone before? I never used anything from Jo Malone but the packaging looks stunning! I didn't smell that one but it sounds delicious! 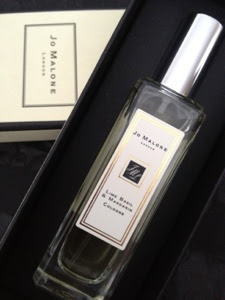 I love Jo Malone perfume! They're all so beautiful. They smell great - I love the wide range! 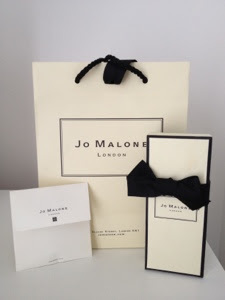 There's a Jo Malone shop in York, I might have to check it out now... have you ever tried the candles?